Located in the center of the retina — the tissue at the back of the eye that turns light into signals the brain interprets as “seeing” — the macula is the area responsible for clear central vision. 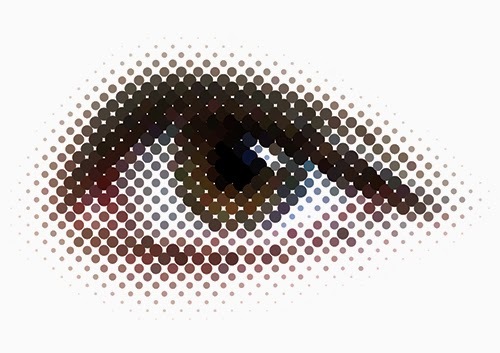 With age, the macula can begin to break down, causing central vision to become blurry or grayed out, to have missing spots, or for straight lines to appear wavy, says Dr. Thomas Stone of Retina Associates of Kentucky. AMD is classified as either of the “dry” or “wet” type. Most people with AMD have the milder dry form, where deposits of cellular debris called drusen accumulate under the retina and cause vision distortions. Some people with dry AMD have no symptoms or experience some blurriness, but the disease usually progresses slowly enough that people can simply live with it. There really isn’t any treatment for dry AMD, but studies have shown that specially-formulated vitamins can help stabilize the condition and, most importantly, keep it from turning into the wet type. Characterized by irregular growth and leakage of blood vessels beneath the retina, wet AMD can cause significant vision loss. But the newest and most promising therapy is a family of injectable medications that reduce or eliminate the bleeding, making it possible to stabilize or even reverse the damage. The exact cause of AMD is still unknown, says Dr. Stone, but the same factors that contribute to heart disease — smoking, high blood pressure, high cholesterol — appear to also play a role in eye health.